One (1) 3ft Audio Cable for your Playstation 4 Turtle Beach Gaming Headset. It will not work with other devices or models. OEM product compatible with Turtle Beach surround sound and stereo headsets. New Xbox One Special Chat Cable compatible with Turtle Beach Headsets! Turtle Beach: PX5, PX4, XP400, XP500, DX11, DXL1, X41, X42, PX3, X12, X11, XL1, X32, X31 and XP300! Also Compatible: Astro: A40 and A50! Stereo Headset Compatibility : PX3, X12, X11, XL1, X32, X31, XP300. Compatible with other headsets that use with 2.5mm female connectors. 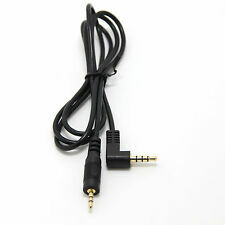 1 x 2.5mm Talkback Cable for Xbox Live Chat. 2.5mm to 2.5mm Turtle Beach Live Chat Xbox 360. Connects your microphone from in-line amplifier to the Turtle Beach Live Chat Xbox 360. Work with Turtle Beach X11 DX11 PX21 PX3 DPX21 XL1. Works with PX5 XP50 XP400 X42 X12 X400 headsets and similar/equivalent models. One (1) Turtle Beach Xbox LIVE Gaming Headset Adapter Cable. 3ft length cable. They work very hard to get quality products to you quickly. Works with Turtle beach X11 DX11 PX21 PX3 DPX21 XL1. 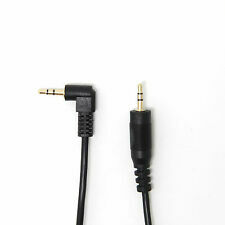 2.5mm to 2.5mm Talkback Cable for Turtle Beach Live Chat Xbox 360. 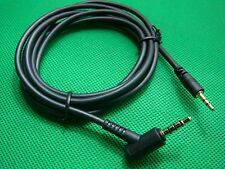 1 x Talkback Cable. Length: 1.5M / 5 ft. This is our SOP, for us to be certain and for record purposes. Compatible with: X11, X12, XL1, DX11, PX21, DPX21. Angled 2.5mm to 2.5mm Talkback Cable for Turtle Beach Live Xbox 360 x12 x11 XL1. Marvel SEVEN: Thor. Call of Duty: Ear Force Spectre. Call of Duty: Ear Force Shadow. Replacement talkback chat cable for Turtle Beach & Astro Gaming Headsets with VOLUME CONTROL. Compatible with ALL Turtle Beach Gaming headsets including the older and newer versions. X12, X32, X41, XO4, XO7, XP7, Recon, Stealth & Elite included. All Astro models compatible too. A30, A40 & A50. Will also work with ANY other gaming headset that has a 2.5mm jack input. The cable is gold plated for the best possible quality and is approximately 1 metre in length. This talkback chat cable will connect all compatible Turtle Beach & Astro Gaming Headsets to your Playstation 4 controller adapter to enable the microphone & chat function for PSN online gaming. Will work with ALL other headsets that are compatible your Sony Playstation 4 / PS4 and require a 3.5mm to 2.5mm cable. 2.5mm to 3.5mm slim mould and gold plated to the highest quality. Approx length - 1.2 metre. This cable has been SPECIFICALLY designed to produce the same high quality sound you expect. Platform: Microsoft Xbox. Type: Link Cable. Cable Length: Not Applicable. Parts are sold as is see notes for details. MPN: CIG166. UPC: 768240893492. Location: #X223. Country/Region of Manufacture: China. You know the age old story. Boy meets n00bz. Boy gets pwned by n00bz. Boy snaps headset cable when he chucks his controller at the wall in frustration. It's a tale as old as time. Now that story can have a happily ever after with a replacement talkback cable for your gaming headset. 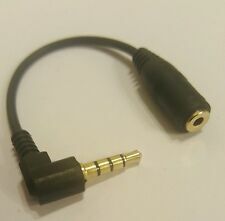 This cable will attach your Turtle Beach headset to your Xbox 360 controller, allowing you to continue to shout obscenities over Xbox Live while you sit around Camp Froman waiting to toss a sticky grenade at someone's head. Because camping is totally a legitimate strategy. This talkback chat cable will connect all compatible Turtle Beach Gaming Headsets to your Xbox ONE controller adapter to enable the microphone & chat function for Xbox Live online gaming. Will work with XO One, XO Four, XO Four Stealth, XO Seven, XO Seven Pro, Recon 30x/50x/50p, PX24, X42, Stealth 420x/500x, Elite 800x & more. VOLUME CONTROL INCLUDED. 2.5mm to 3.5mm and gold plated to the highest quality. Approx length - 1.4m. Please note you still need the XBOX ONE chat adapter - this is NOT included. 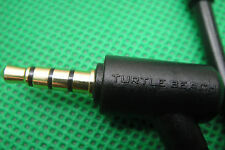 This Chat/talkback Cable is specifically designed for Turtle Beach headsets. 2.5mm Talkback Cable for Turtle Beach X11 PX21 X12 XL1 and More xBox Live Chat. Model: Turtle beach Xbox talkback. Manufacturer: Turtle Beach. Rest assured the cable will work as intended. Looking for more then one?. generic cables produced in large quantities, so this is how we pass on the savings to you! Want to buy in bulk?. Talkback Cable. Works with Turtle Beach X12, X32, X42, X41, PX21, PX22, PX3, PX4, PX5, PX51, XP300, XP400, XP500, XP510, Z7, XP7, XO4, XO7, P11, PX11, DX12, DX11, Tango, X-Ray, Delta & more! Turtle Beach. New item works with many turtle beach models x12 dpx21 p11 xl1 dx12 includes rca splitter cable and talkback cable. x12 dpx21 p11 xl1 dx12 includes rca splitter cable and talkback cable. The headsets that the Female to RCA Stereo Splitter Cable will work for are as follows. This talkback chat cable will connect all Turtle Beach Gaming Headsets to the Xbox controller to enable the microphone & chat function for Xbox Live online gaming. Works with ALL new Turtle Beach Headsets and X12, X32, X42, PX21, PX22, PX3, PX4, PX5, PX51, XP300, XP400, XP500, XP510, Z7, XO4, XO7, P11, PX11 & more. Also works with all Astro Gaming Headsets including Astro A30, A40 & A50. 2.5mm to 2.5mm - Gold plated - Length 1m. This talkback/chat puck cable will connect all Turtle Beach Gaming Headsets to the Xbox controller to enable the microphone & chat function for Xbox Live online gaming. Works with Turtle Beach X12, X32, X42, X41, PX21, PX22, PX3, PX4, PX5, PX51, XP300, XP400, XP500, XP510, Z7, XP7, XO4, XO7, P11, PX11, DX12, DX11, Tango, X-Ray, Delta & more!. Puck style cable has volume control & mute function built in. 2.5mm to 2.5mm - 1m cable for Xbox Live Gaming. This talkback chat cable will connect all compatible Turtle Beach Gaming Headsets to your Playstation 4 controller adapter to enable the microphone & chat function for PSN online gaming. Will work with ALL Turtle Beach headsets that are compatible your Sony Playstation 4 / PS4. Including Elite 800, Stealth 400/500p, Recon 30x/50x/50p/60p, PX24, PX22, P11, PLa, P4c, P12 & more. VOLUME CONTROL INCLUDED. 2.5mm to 3.5mm and gold plated to the highest quality. Approx length - 1.4m. Genuine Turtle Beach XBOX live Talkback cable for X11, X31, X32 X41,X42, X1, XP500,XP400,XP300, PX21, MW3 Delta, Foxtrot or Px5 handset! Works with Xbox 360. Rest assured the cable will work as intended. Don't have an account?. Looking for one or two?. Want to buy in bulk?. Make it right. Rest assured the cable will work as intended. Don't have an account?. Want to buy in bulk?. Looking for more or just one?. Make it right. You don't need one! And you don't need to a new set of headset adapter! There's no need for a "2.5mm to 3.5mm audio jack adapter"! Cable Length: Approx. Ear Force® Stereo Headset Compatibility. Compatible with other headsets that use with 2.5mm female connectors. Included Mic foam windscreen reduces ambient noise for clearer chat. Pricing: The strikethrough price is the List Price. Works with Turtule beach ear force DX11 PX21 X12 XL1. 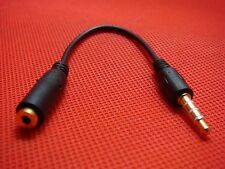 New 2.5mm Xbox Live talkback cable with gold plated plugs. The piggyback RCA jacks let you simultaneously connect the console to your TV or sound system. I have for sale a used TURTLE BEACH OEM Xbox 360 TALK BACK CHAT CABLE X31 X32 X41 X42 XP400 GENUINE. This is used but has been tested and in good working condition! 1 x Talkback cable. This Chat/talkback Cable is specifically designed for Turtle Beach headsets. New Talkback Puck Cable for Turtle Beach X1 X11 X31 X41 Microsoft Xbox 360. This is a 3rd party cable, NOT from Turtle Beach. for XBOX LIVE chat. NOTE THAT PUCK CABLE WILL NOT WORK WITH THE LEGACY X4 OR X3 HEADSETS.